Is your bathroom bursting at the seams? 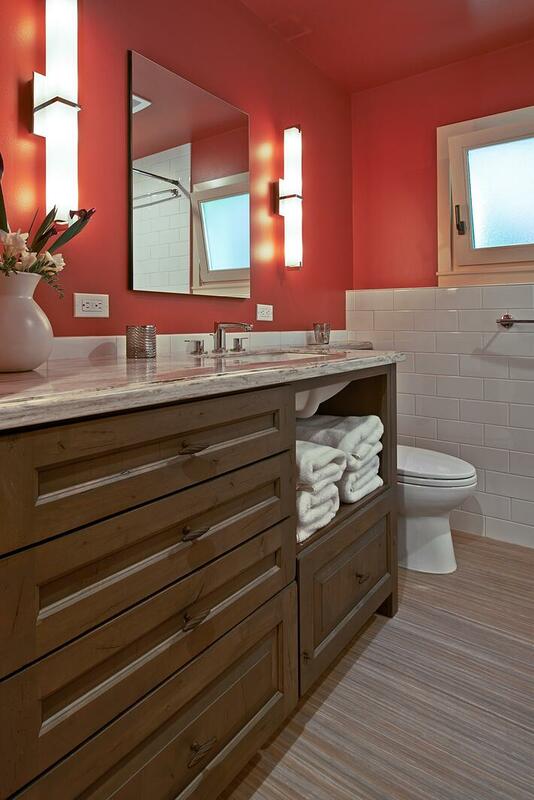 Are you considering a remodel project to create more useful bathroom storage? Whether you want to make minor changes or go for a full remodel, consider these options. Skip the double-sink vanity in favor of more counter top space and cabinet storage. By sticking to one sink, you can design more drawers into the vanity cabinets for toiletries. Shallow drawers are perfect for keeping a single layer of items tidy, while deep drawers are great for tall bottles, like hairspray or shampoo. Medicine cabinets are an excellent way to gain more storage in a bathroom. Styles vary from simple surface-mounted units to recessed, electrified, and heated units. Some even feature LCD screens for TV and speakers for music! Medicine cabinets keep all of your small stuff off precious counter space. If a full remodel is your goal, covert your bathtub into a shower and use the leftover space for a linen cabinet. A 3-foot-by-4-foot shower is a comfortable size for many of the older homes in Seattle and still leaves plenty of space for a tall cabinet to hold towels, extra bedding, and bathroom supplies. If you are able to separate the bathroom space with a water closet for the toilet, additional storage can be built-in this space. Think of it as a closet that has a toilet at one end and cabinets at the other. Wall-mounted cabinets come in all shapes and sizes, and custom cabinetry can be made to match or complement your vanity cabinets. These shallow shelving units are great for organizing small items and can add an organized look to your bathroom. CRD's design staff spends a lot of time thinking about maximizing the storage potential of small Seattle bathrooms. If you are considering a bathroom remodel project, please don't hesitate to get in touch to discuss ideas and options.